The Palisade family of security fencing is designed to provide a formidable barrier. Its manufacture, combining substantial hot-formed and cold rolled steel sections, assures both strength and rigidity and offers a proven long lifespan. Paramesh mesh fencing is a welded fencing system with a distinctive appearance, at a competitive price. Paramount decorative architectural fencing has been developed to offer a multi-choice specification designed for a wide range of applications. Paramount has an extensive range of manual and automatic gate products. Both of our gate ranges are designed to meet arduous environmental conditions whilst still maintaining security. Paramount Steel Fence offers a prestige range of steel fencing products. Our fencing products are designed for a range of applications including; security, decorative and boundary demarcation. As one of the largest producers of steel security fencing in England, we manufacture products designed to meet the expectations of end users as well as architects and consultants. Our purpose constructed manufacturing facility can produce small or large quantities, with some products available from stock. 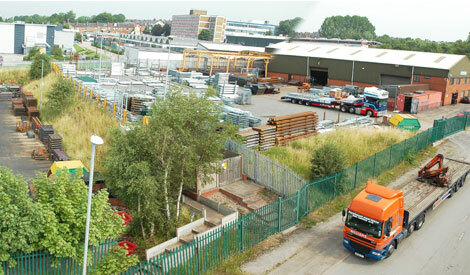 For quotations and fencing prices, (fencing products are usually sold per metre) contact our sales department. Paramount Steel Fence offers security mesh fencing products suitable for a wide range of applications, specifically designed to offer security and style to any perimeter fence line. The Paramesh fencing system benefits from a national reputation for providing high quality security mesh fencing products, whilst remaining cost effective. For quotations and mesh fencing prices, (fencing products are usually sold per metre) please contact our sales office. Paramesh security mesh fencing is simple to install and can be specified in a range of heights and colours. Maintaining security when legitimate access is required through a fence line can be a difficult task. Paramount Steel Fence produces a range of both manual and automatic gates. Our gate range can be specified to match your choice of fencing, and can be supplied as either swing gate or sliding gate specifications. Both our manual and automatic gates are constructed from heavy duty steel sections which ensure a long operating life and greater resistance to attack. Paramount Steel Fence has over 30 years of experience in the fencing industry and is recognised as a major manufacturer and market leader in this highly competitive market-place. With our highly skilled and experienced workforce and modern management practices, we offer a wide range of fencing and automatic gate products for use in the security, commercial, industrial, and private sectors. Our specialist automatic gates division provides installation and maintenance on automatic sliding gates, automatic swing gates, and automatic traffic barriers. To keep updated with our latest news and information. It's only four easy steps!